Easy Chicken Fajita Bowls Recipe - Another chicken recipe for chicken lover, follow these simple steps that help you to cook chicken recipes easily. 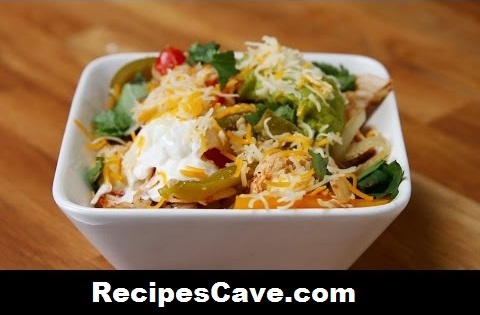 Easy Chicken Fajita Bowls Recipe, Here is what you'll need to serve 8 peoples. In a slow cooker, place half of the bell peppers and onion. Lay on the chicken, and coat both sides with taco seasoning, salt, and pepper. Sprinkle on garlic, half of the lime juice, and diced tomatoes. Cover with remaining peppers, onion, and lime juice. Remove chicken from the slow cooker, shred, and return to slow cooker. Serve over brown rice with sour cream, guacamole, and cilantro. your Easy Chicken Fajita Bowls Recipe is ready to taste.